I’m going to be totally honest with you girls; the words ‘hen party’ fill me with total and utter dread! 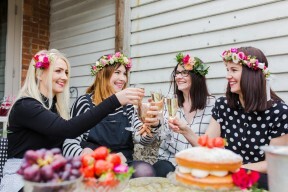 Surely there has to be a better way to celebrate your impending marriage with your besties than waving around plastic willy straws and getting inappropriate with naked butlers?! 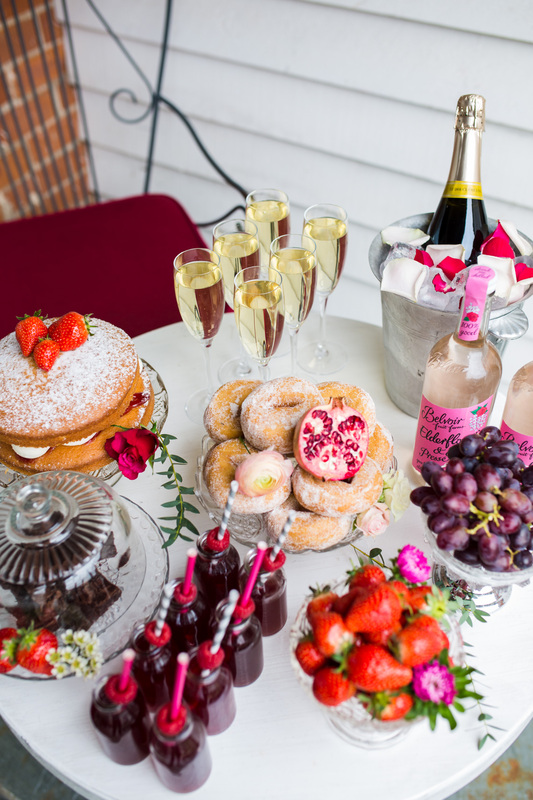 I’m much more inclined to side with our American cousins and call it a ‘bridal shower’, which somehow seems altogether more sophisticated! 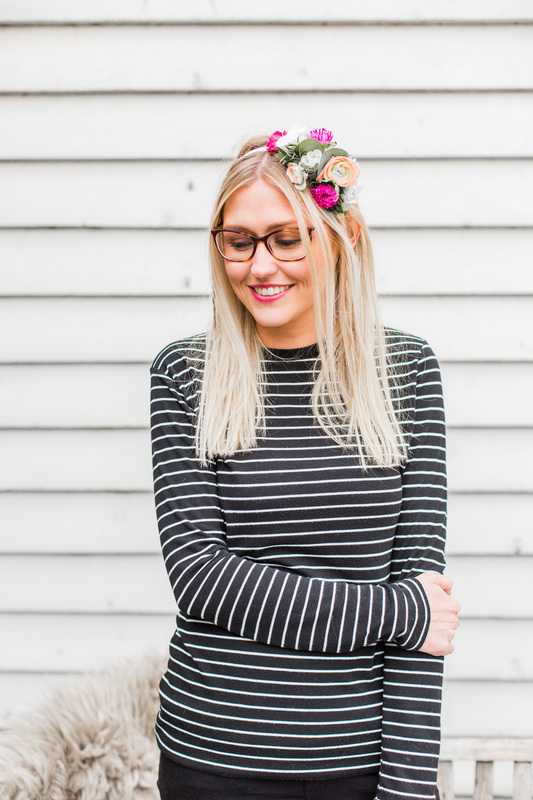 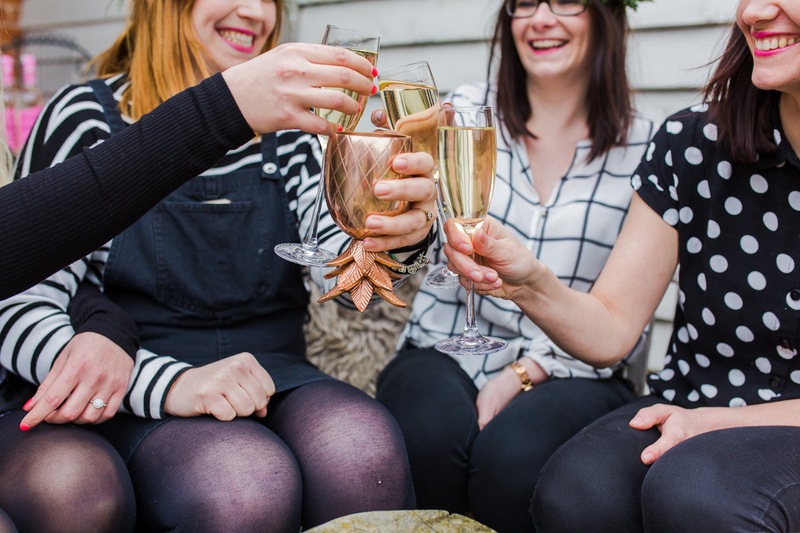 Thankfully, I’m not alone, and you lovely lot are planning ever-more sophisticated hen parties which are all about spending time with your girl gang and having fun! 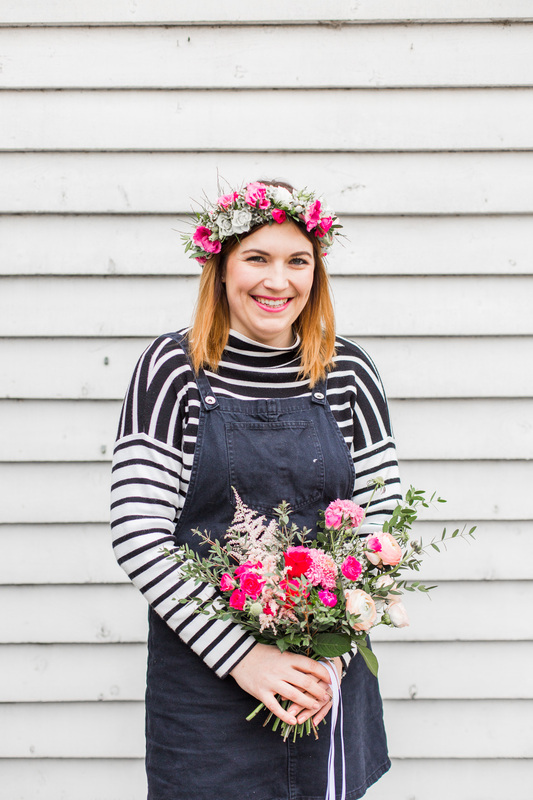 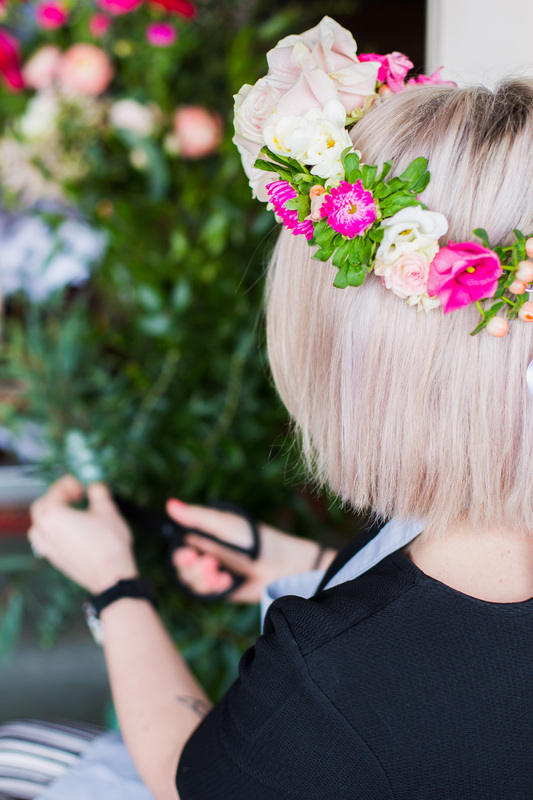 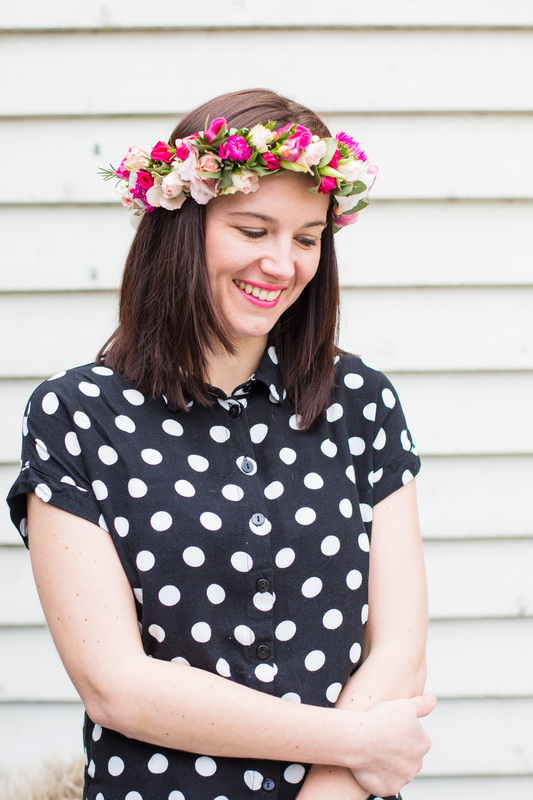 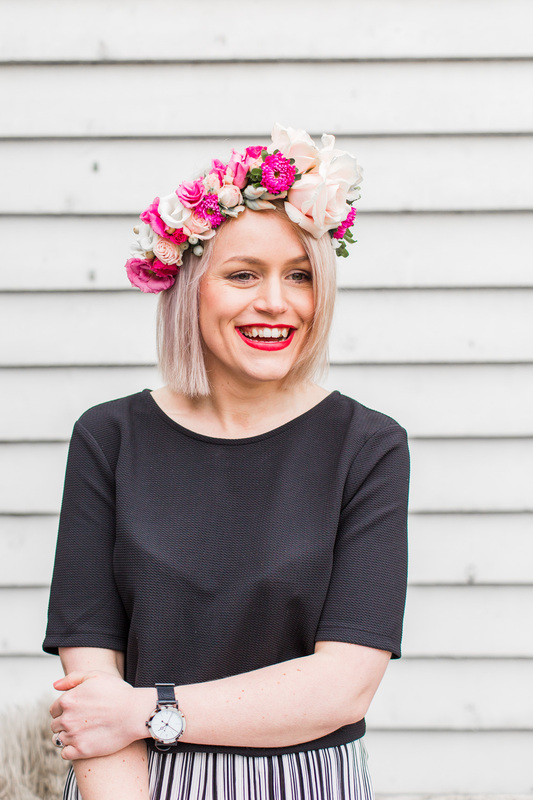 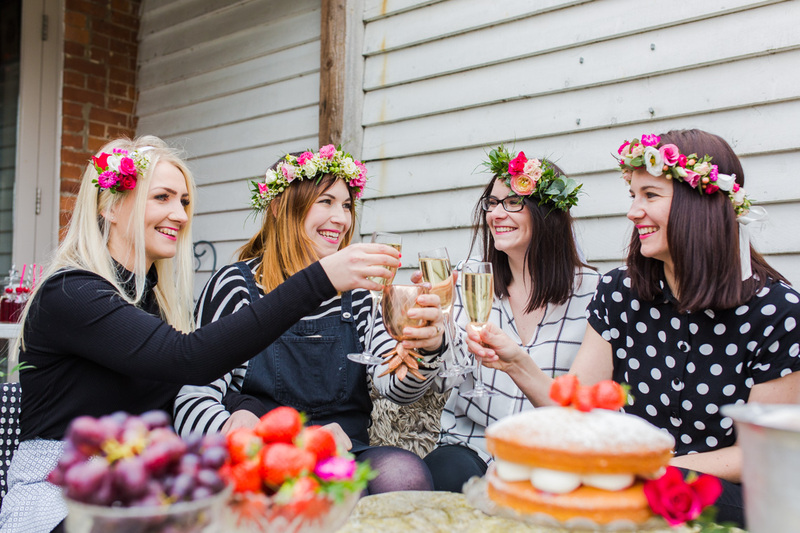 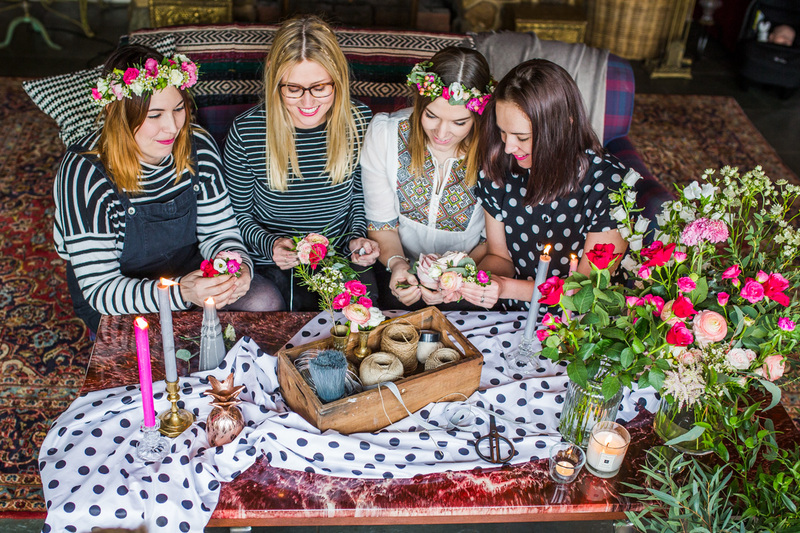 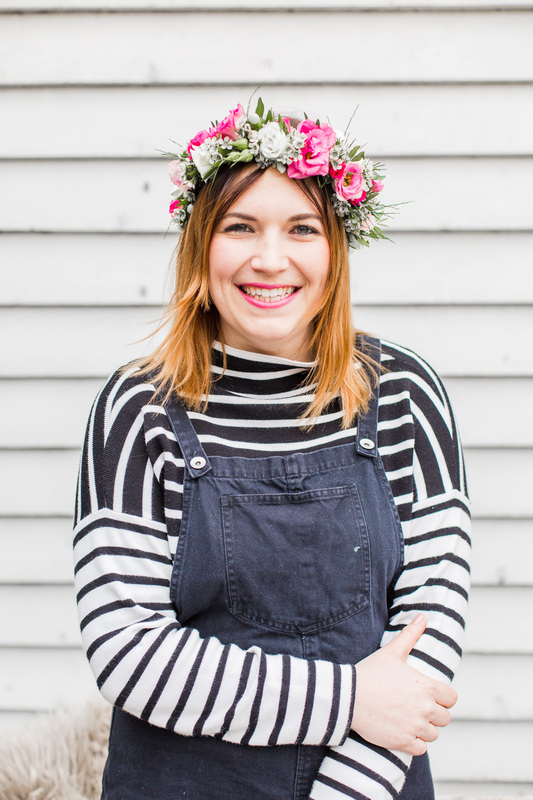 So, if you’re looking for a hen party activity that’s pretty, stylish, fun and creative today we’ve got the perfect inspiration… a floral crown hen party! 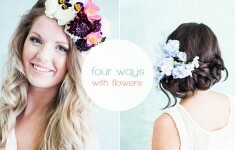 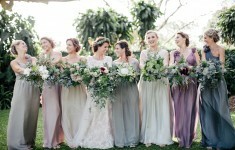 What girl doesn’t love being surrounded by her best friends in a room filled with beautiful blooms?! 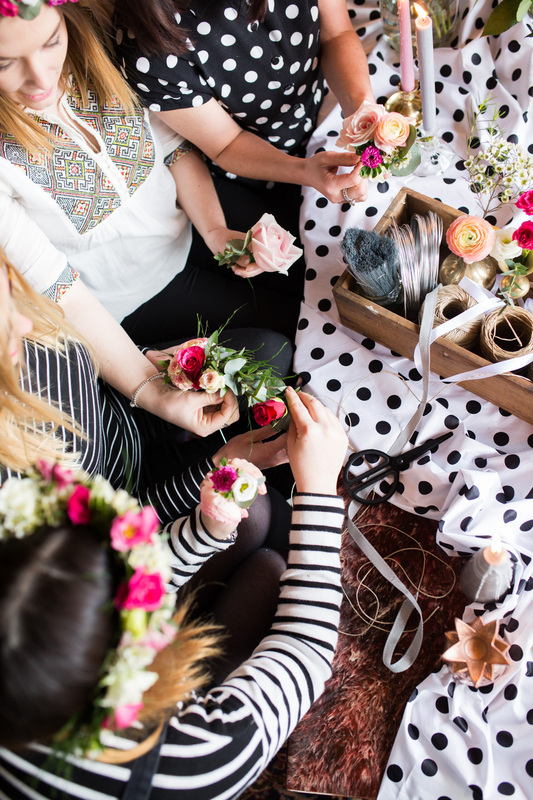 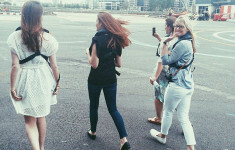 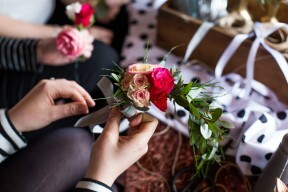 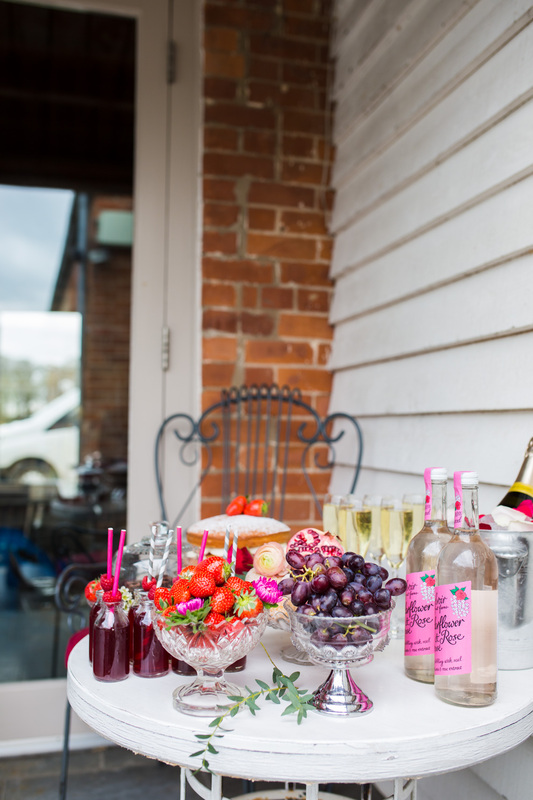 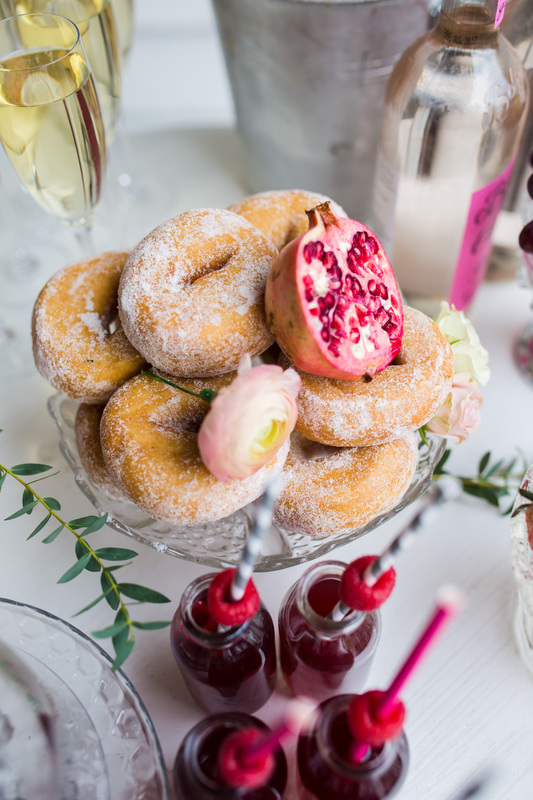 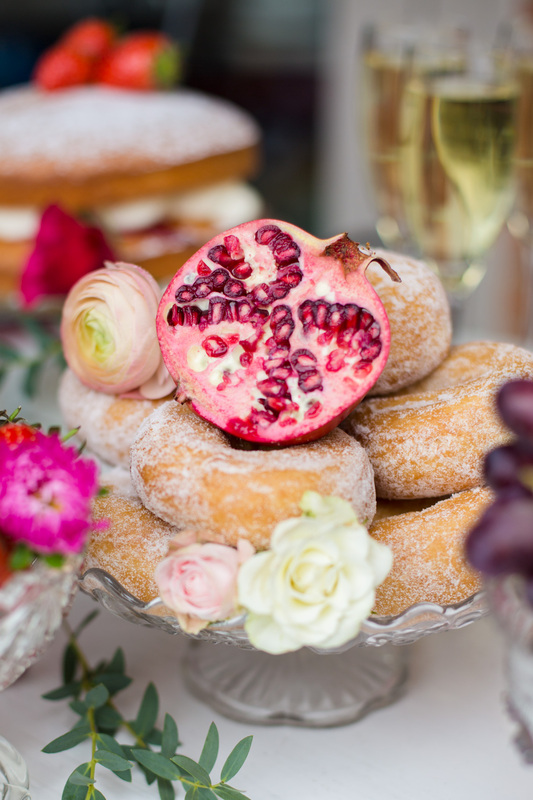 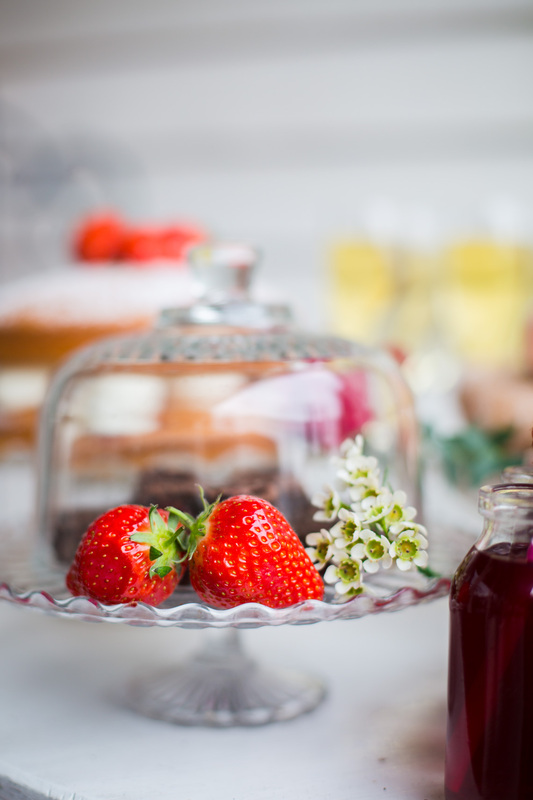 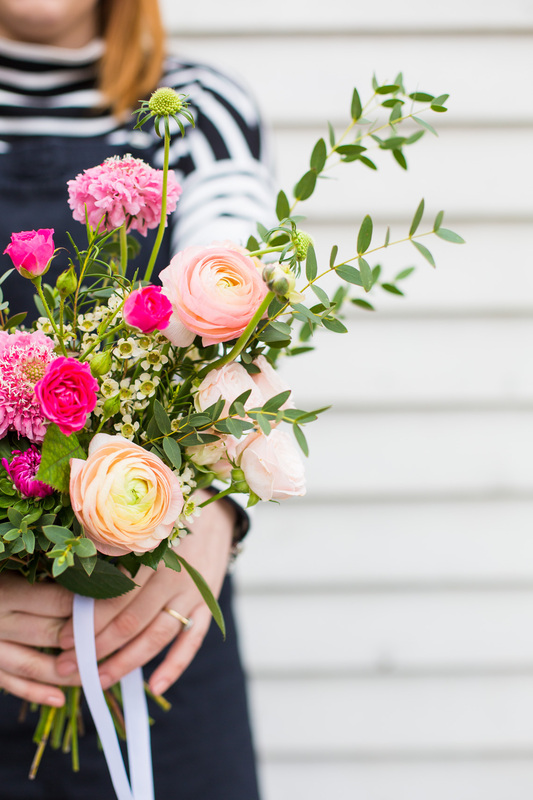 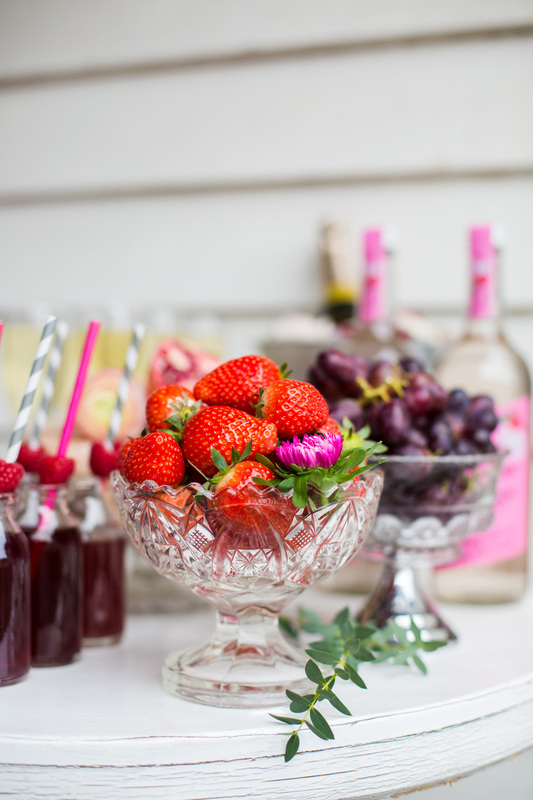 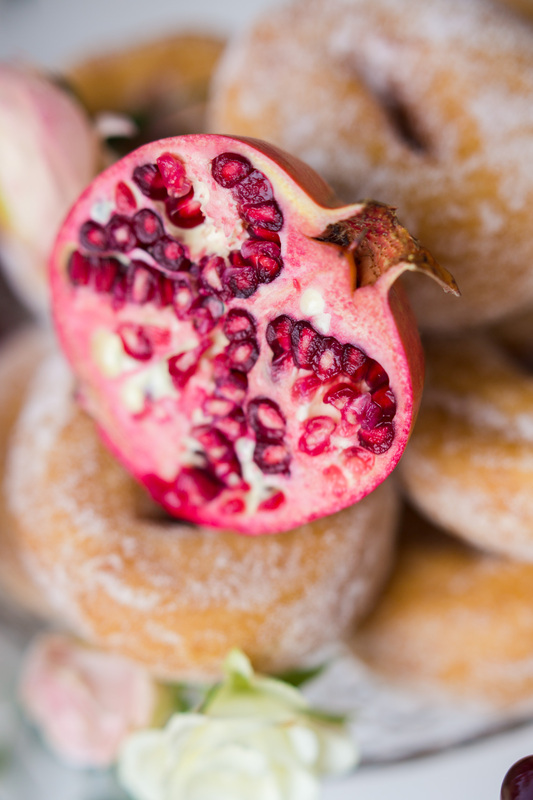 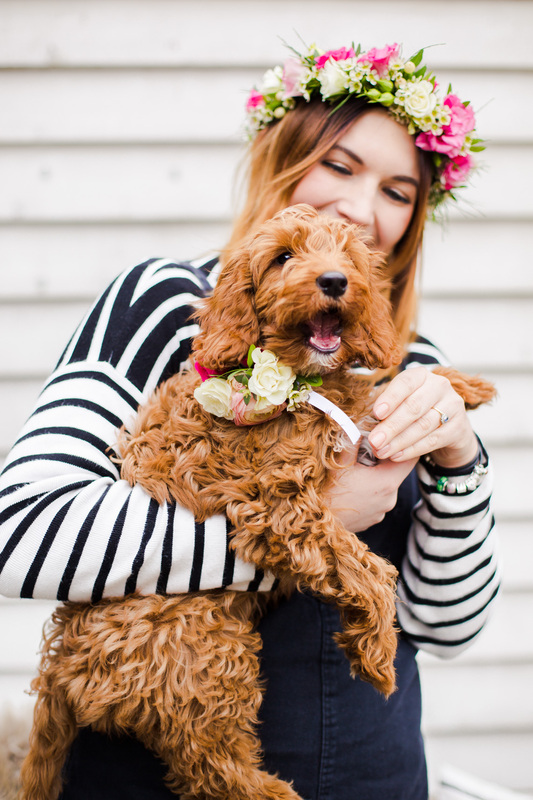 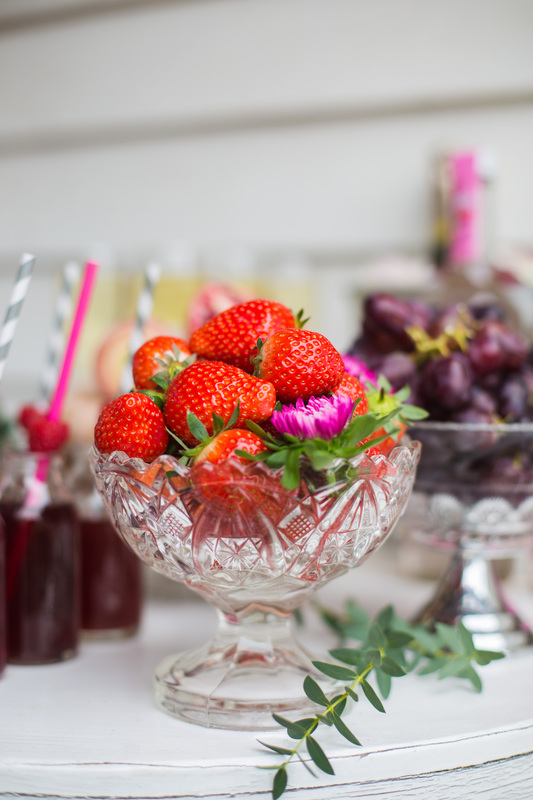 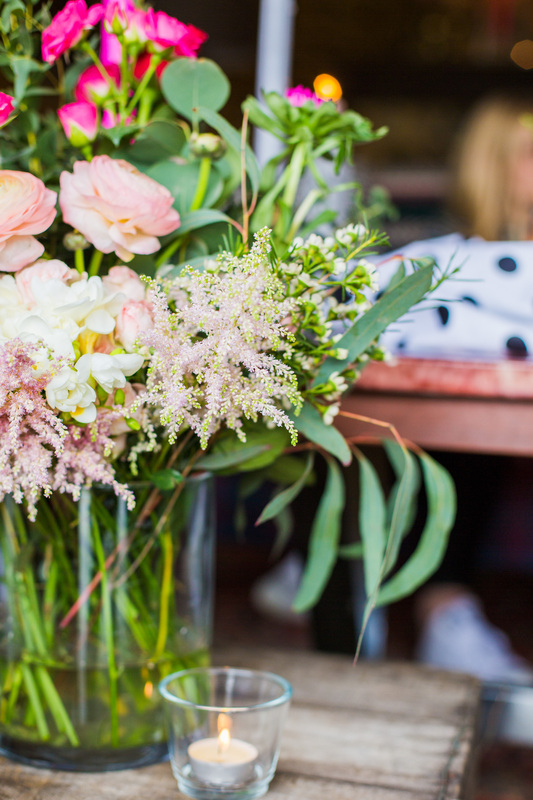 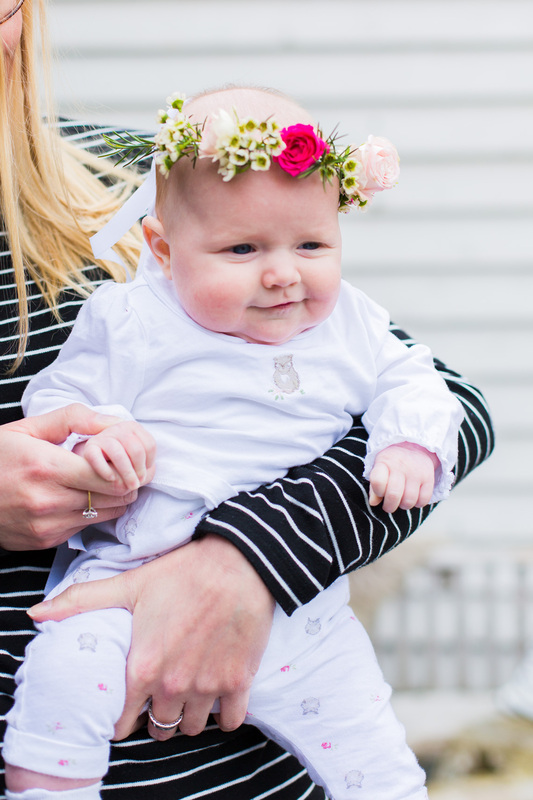 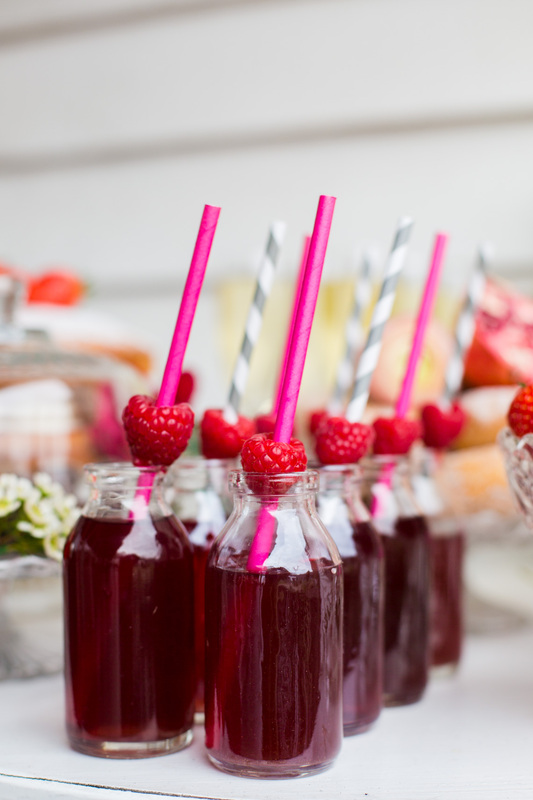 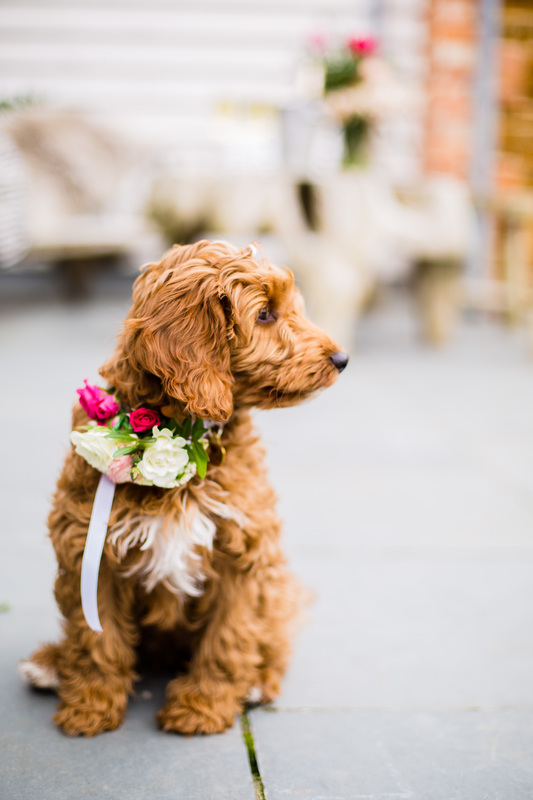 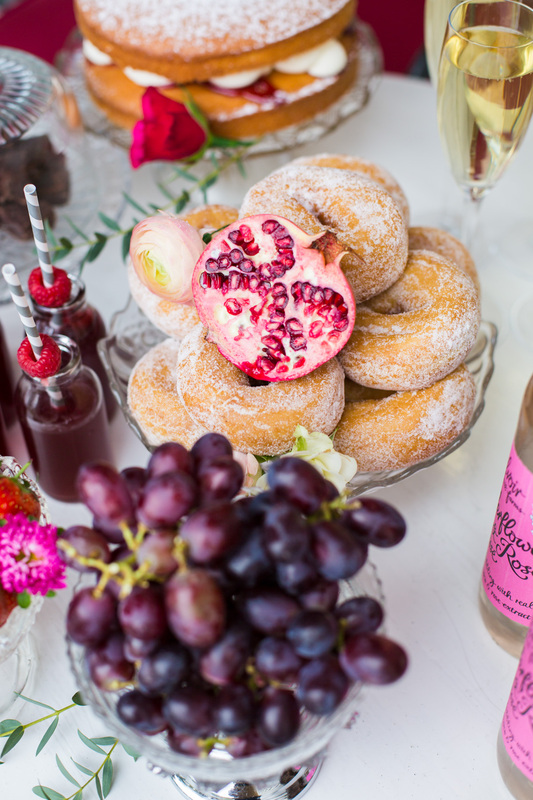 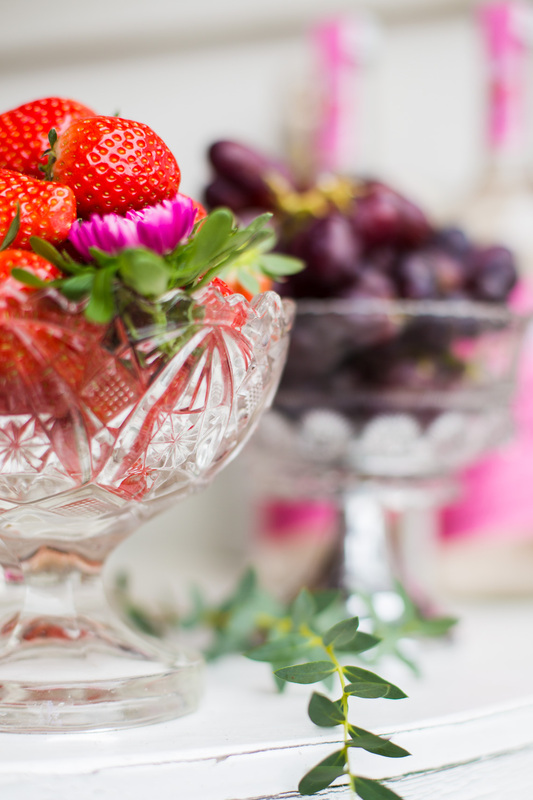 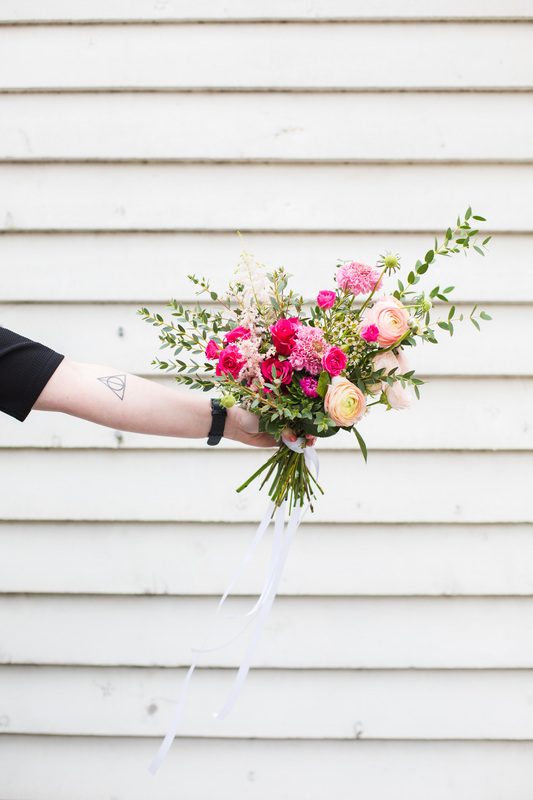 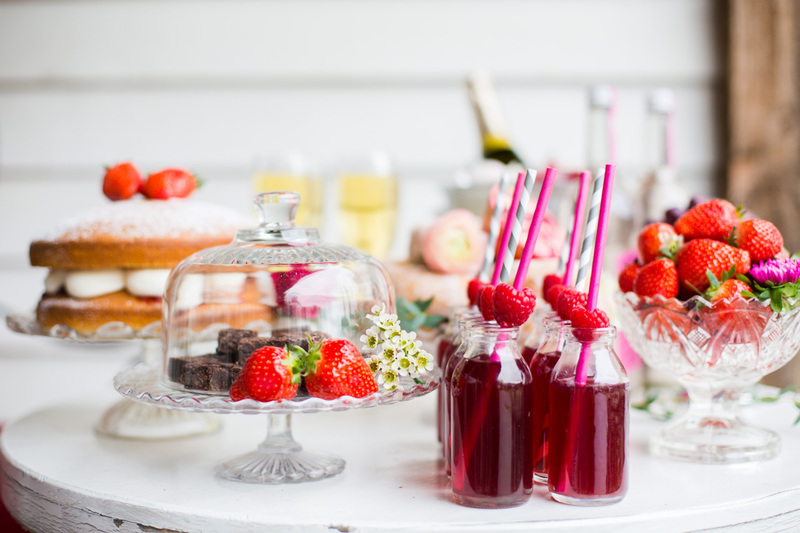 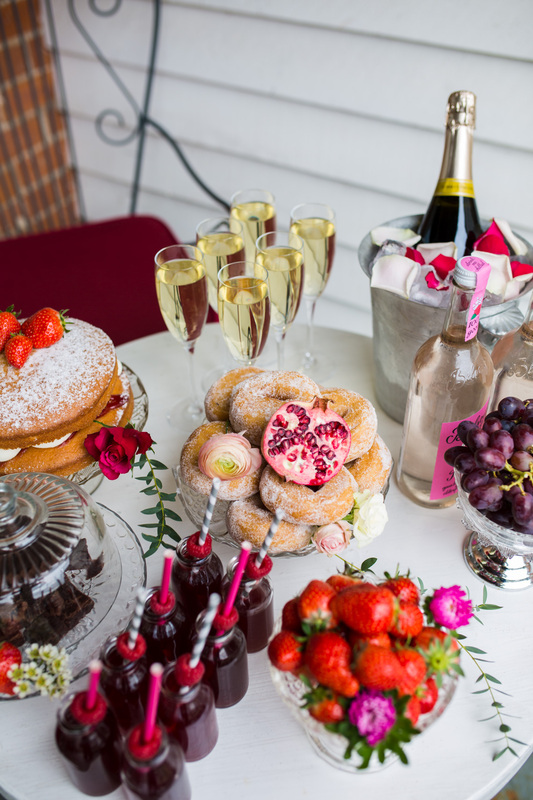 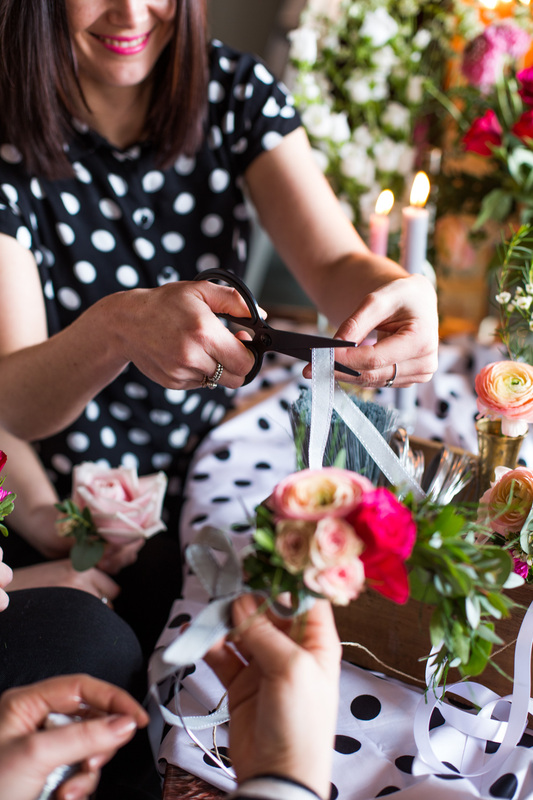 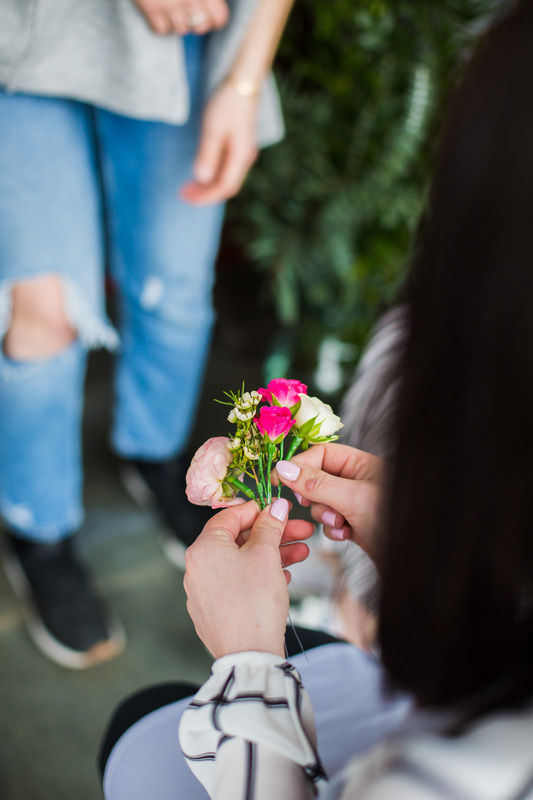 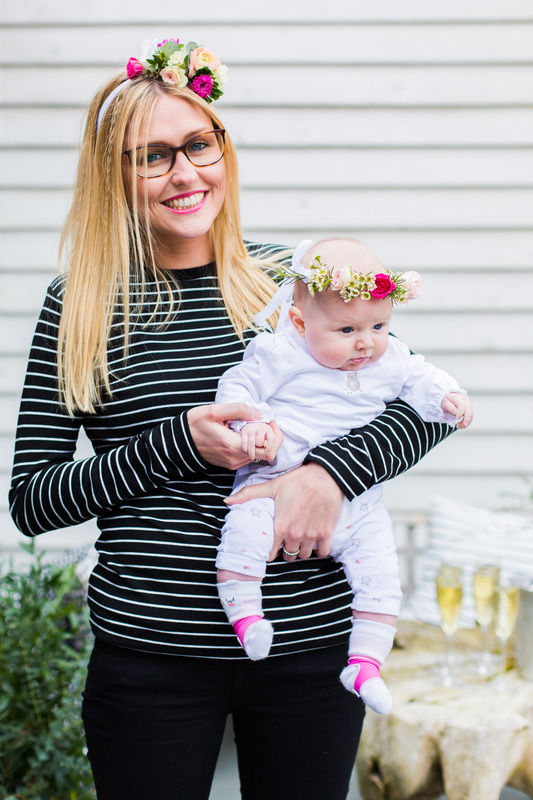 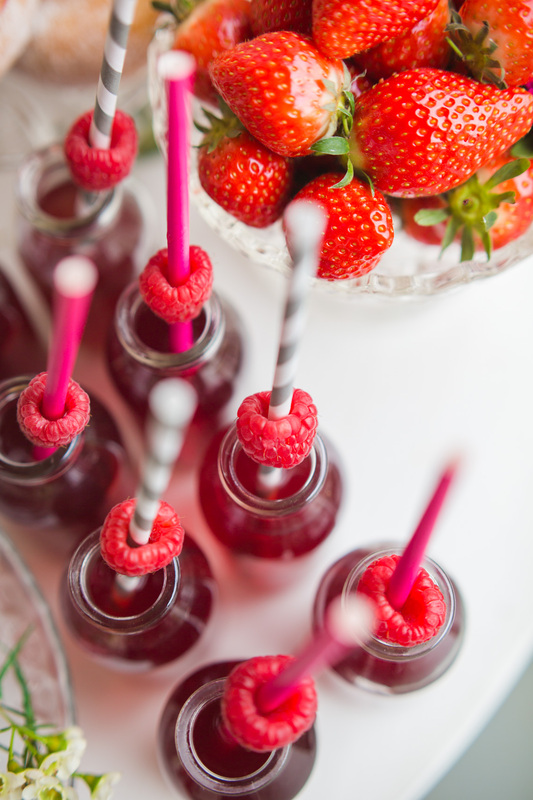 And unlike the hen do of old, this activity is suited to all the important ladies in your life – from mums, nans and bffs to flower girls – the whole girl gang can get involved. 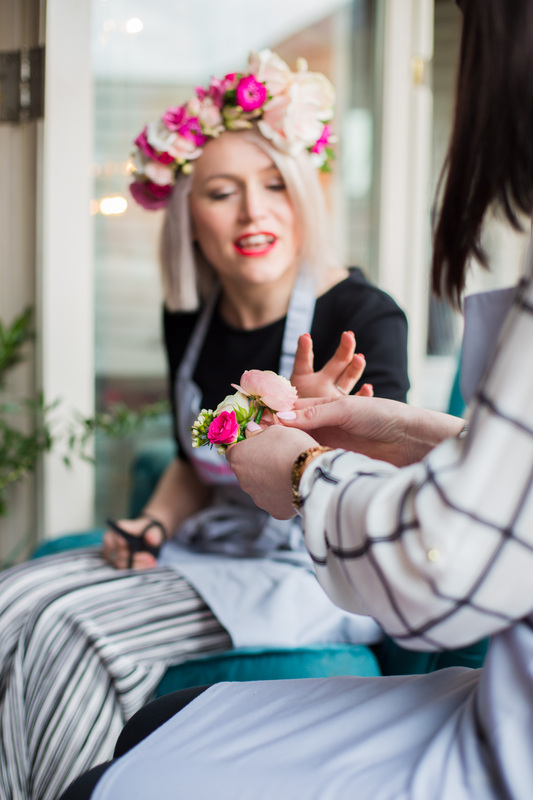 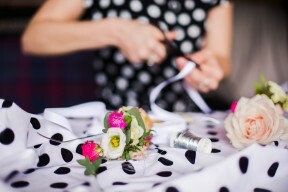 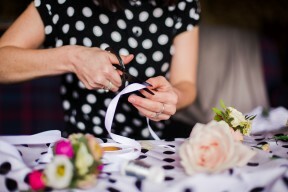 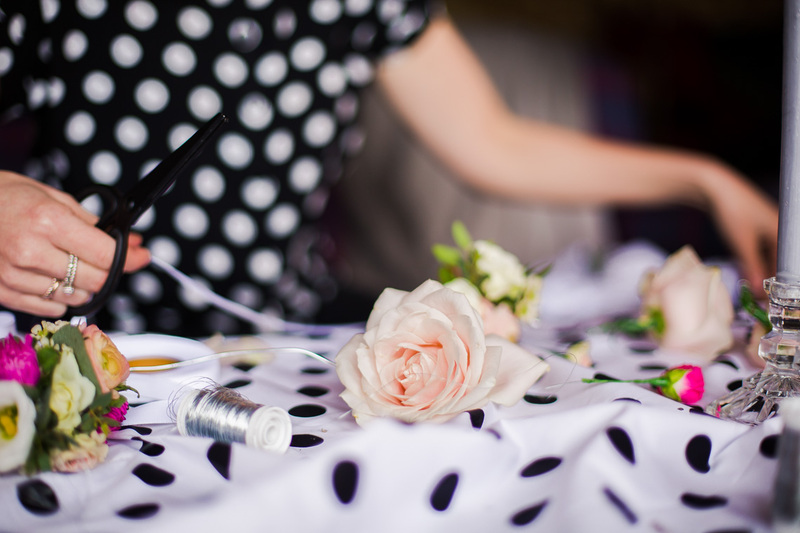 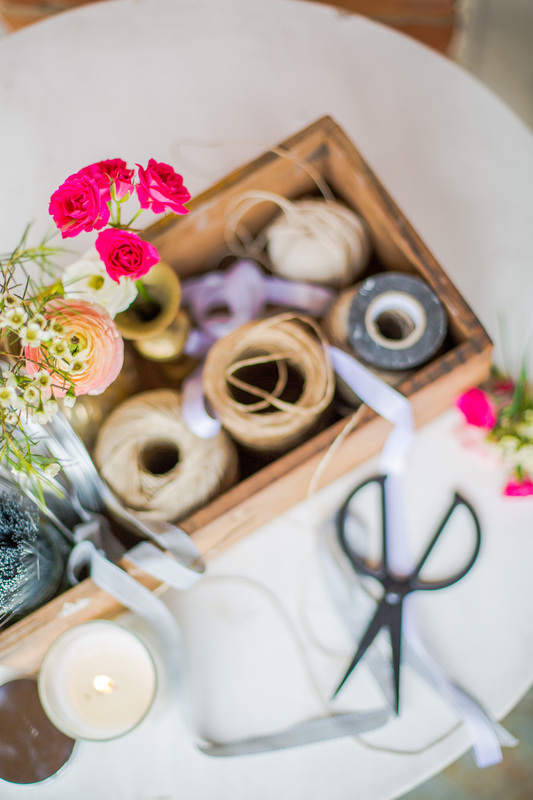 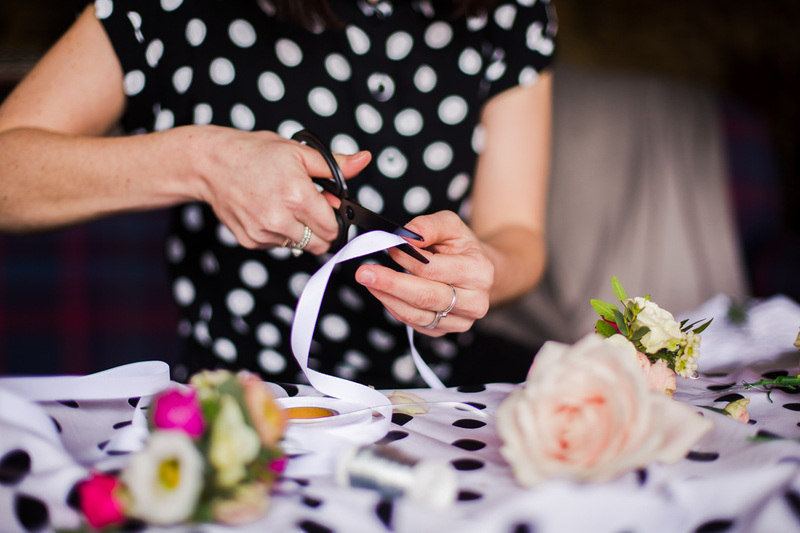 Plus you get to learn a new skill and make a super pretty something to wear, while having a good giggle over drinks – our idea of hen perfection! 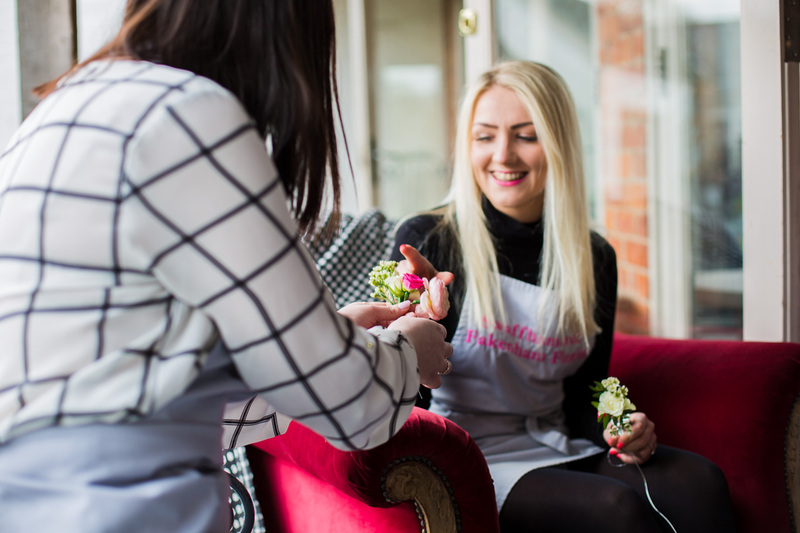 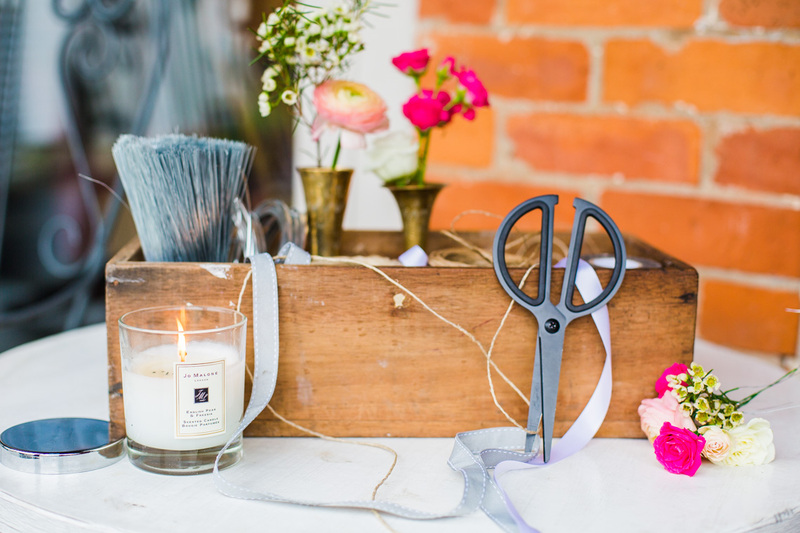 With Megan from The Swaffham Florists getting married next year, we had a great excuse to get her maids together for a lovely afternoon, with bubbles, cake and of course flowers. 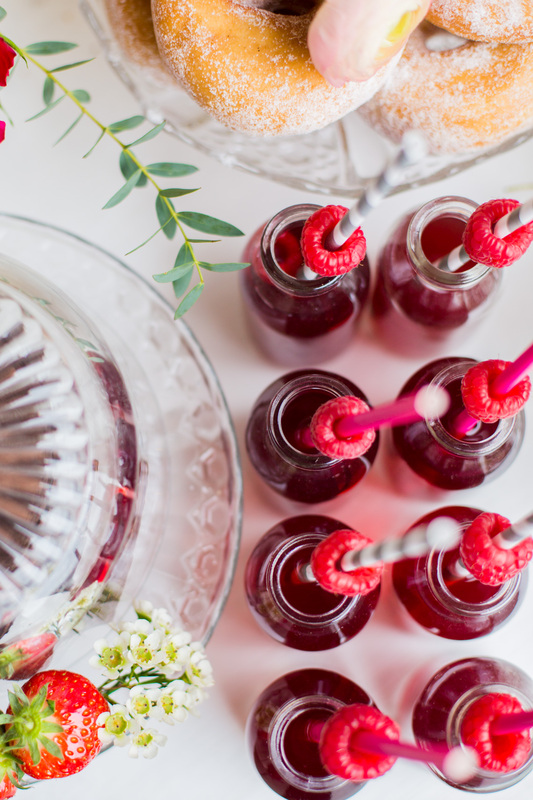 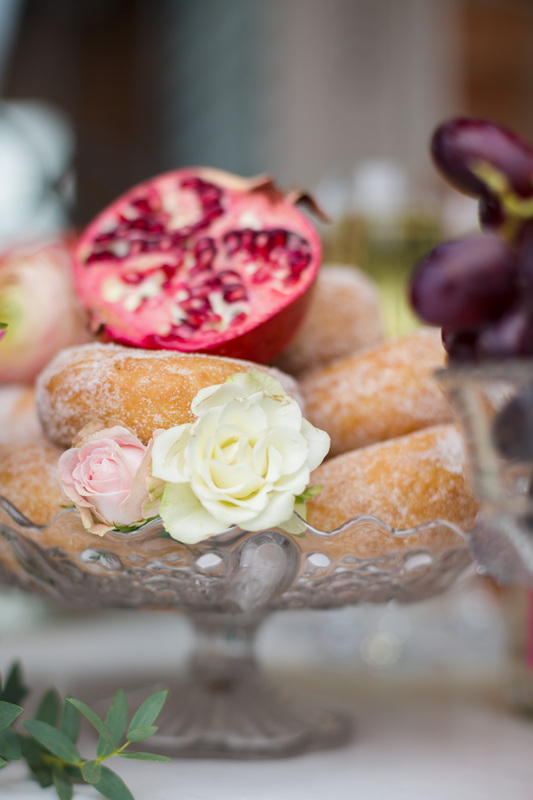 A ‘sweet treats’ station was set up for all the ladies to enjoy and Jo Malone scented candles we’re dotted around the space to add a little luxe. 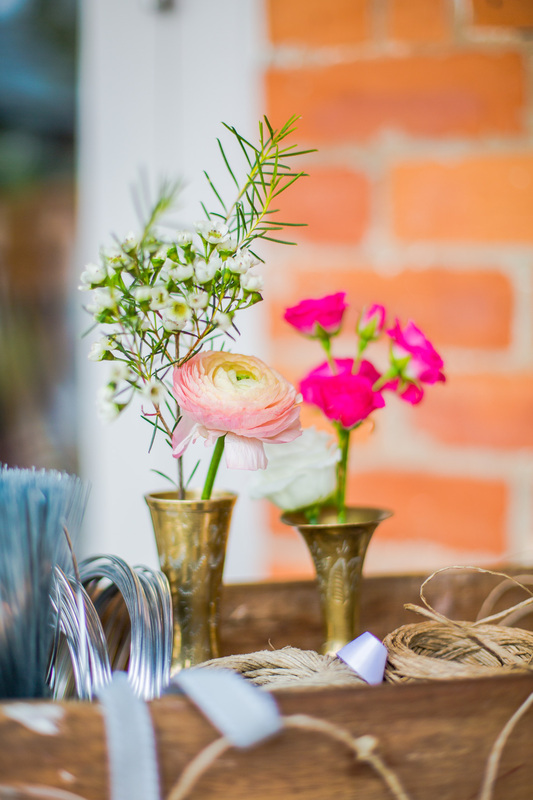 Cliff Barns in Norfolk was the perfect spot for the shoot, with lots of gorgeous and eccelctic rooms to stay in and relax. 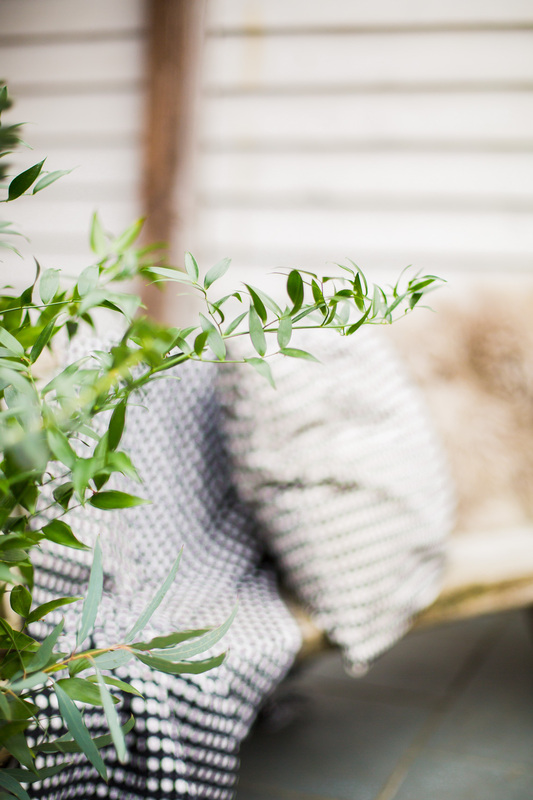 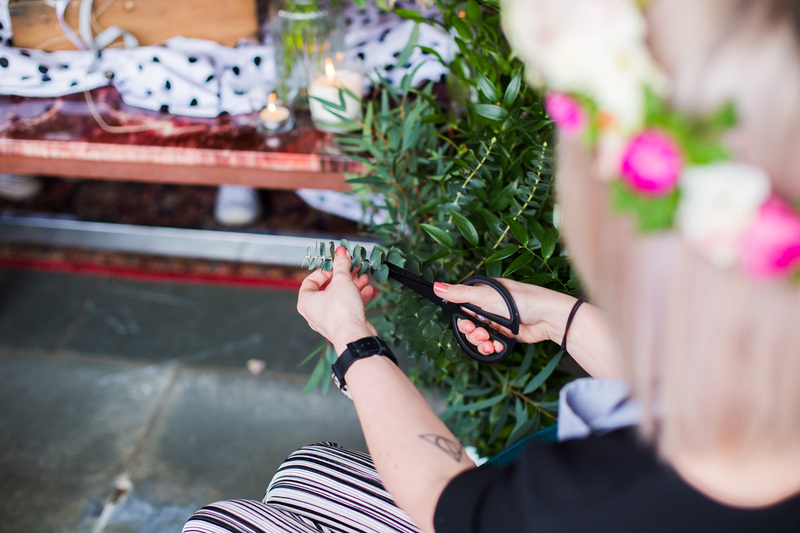 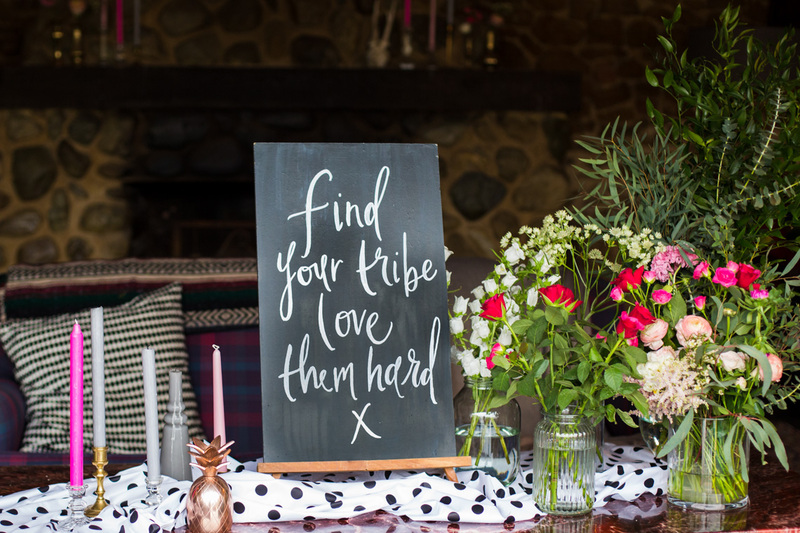 Its full of quirky décor that was the ideal backdrop to the shoot and the outdoor space looked fab dressed with blankets and cushions, creating a cool little chill out corner. 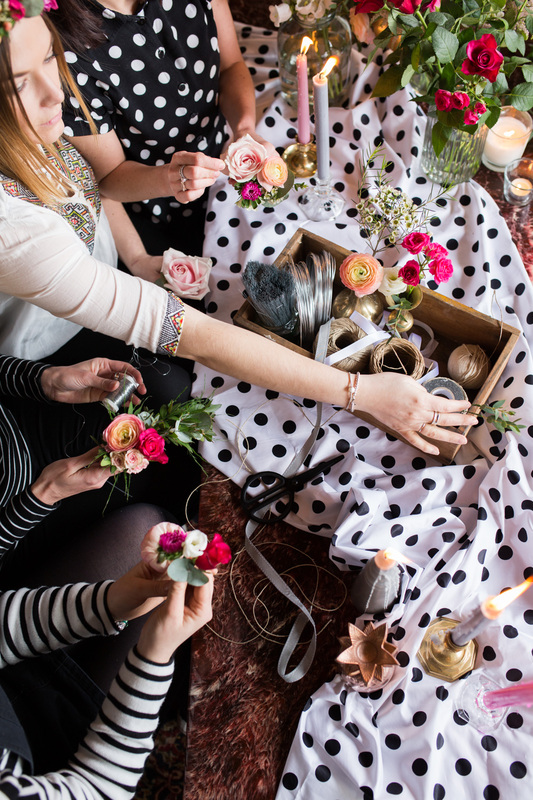 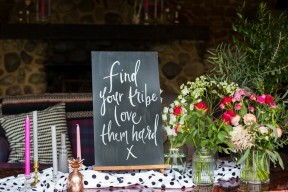 I wanted the shoot to have a bit of a monochrome nod, spots and stripes feature on the table runner and all the ladies outfits, after all twinning is winning right!? Highlight colours of poppy bright pink, soft rose pink and dove grey came though with the candles in various glass and brass vessels. 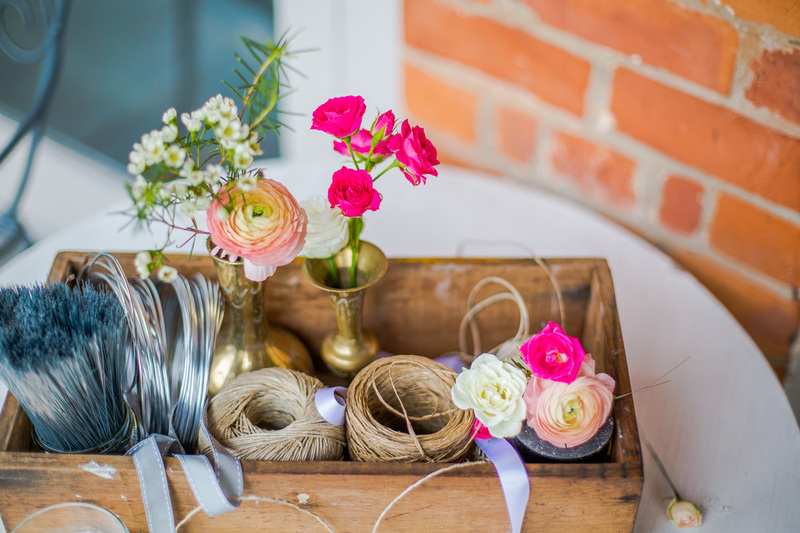 A Modern girly palette. 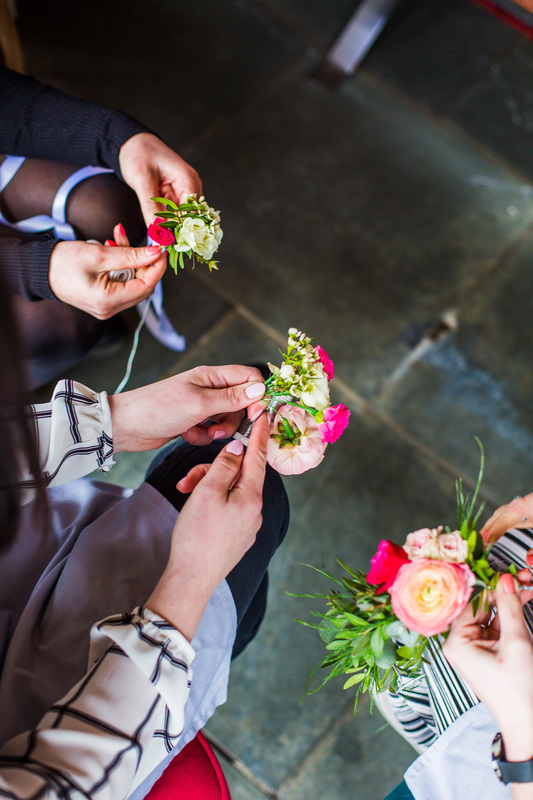 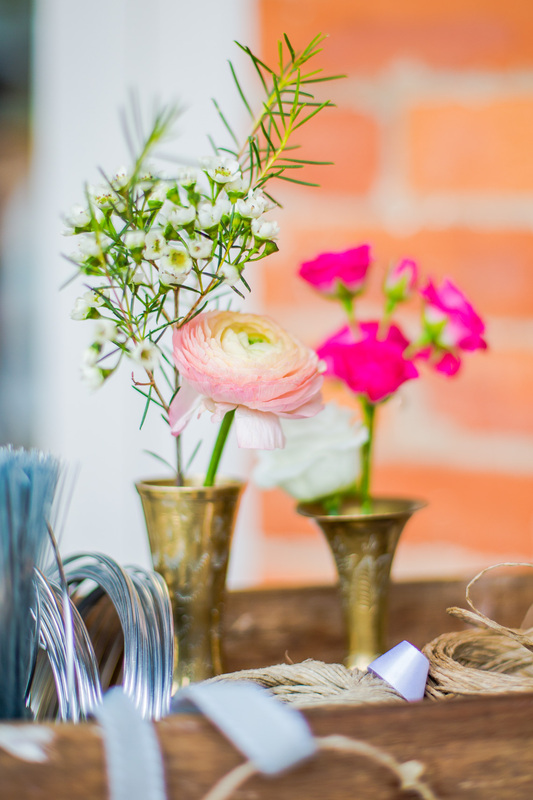 Flowers were a mix of spray roses, ranunculus, hypericum berries, astilby, scabious, eucalyptus, pistachio, roses and soft ruscus in shades of white, cream, pinks and lots of lush green foliages. 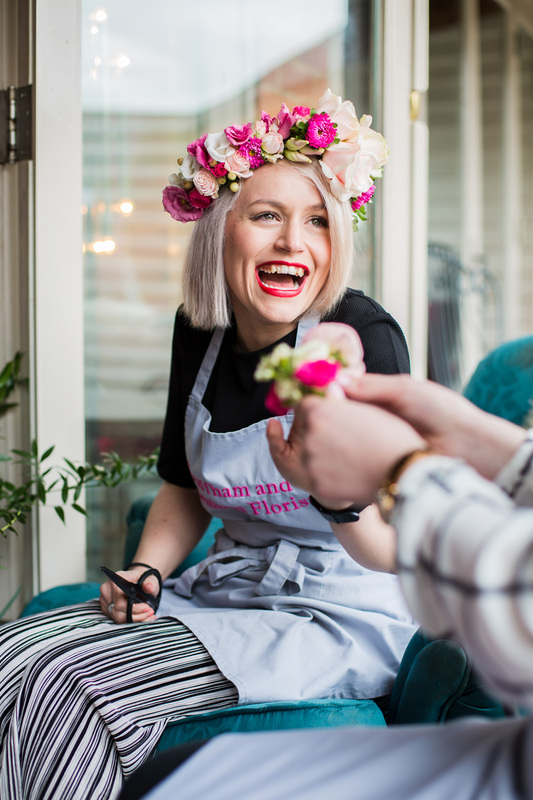 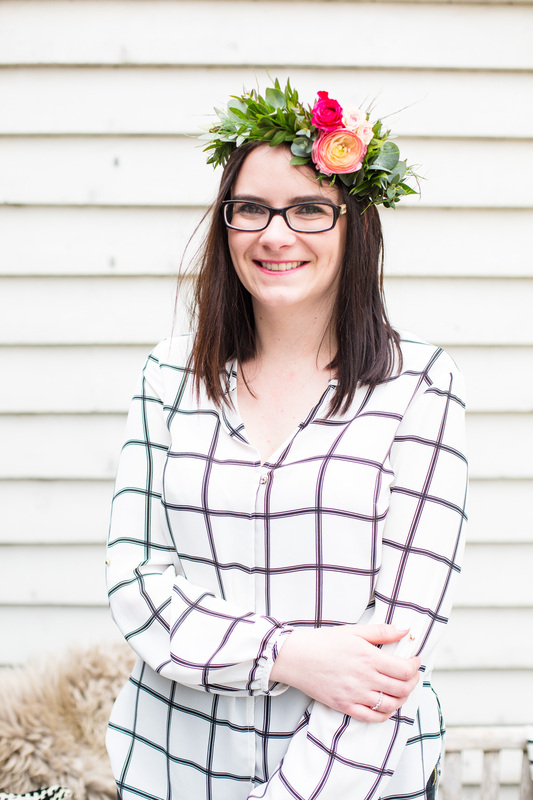 Michelle at Swaffham and Fakenham Florists showed the ladies how to create their own floral crowns and headbands which photographed so well. 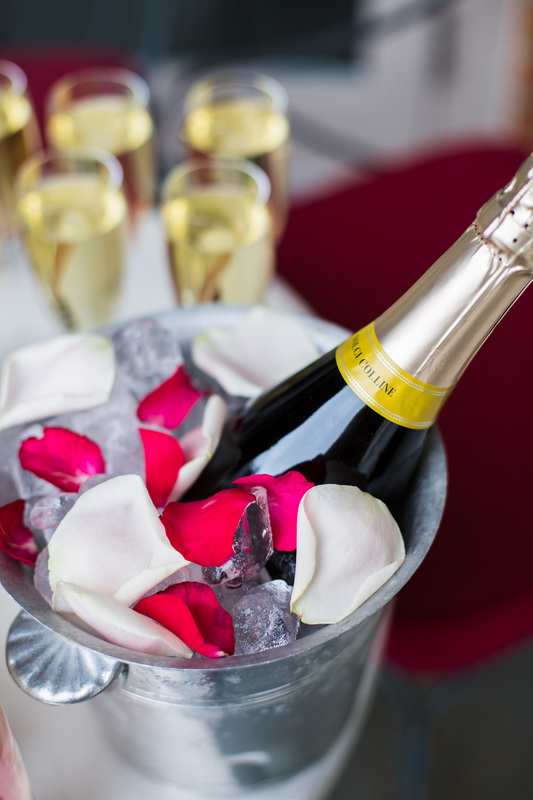 A special afternoon professionally documented would be the perfect memory of your pre-wedding celebrations.